A local roofing company has been nominated for its inspiring acts of generosity for the National Federation of Roofing Contractors’ 2018 UK Roofing Awards, sponsored by SIG Roofing. Jackie Biswell, director at Apex Roofing, led the team in a number of pro bono projects and most recently the company has donated its time and expertise to build a sensory cabin for children with physical and learning difficulties. Apex Roofing provided labour, scaffolding, installation and sundry materials for free after Thomas Wolsey School issued a plea for help when its grant applications were refused. All work was completed within a week and the newly built sensory cabin plays an important part of the school’s development to help pupils and members of the local community who suffer from sensory impairment. Jackie said: “Being nominated for the Local Hero award was a huge honour and reinforces the ethics behind my business. 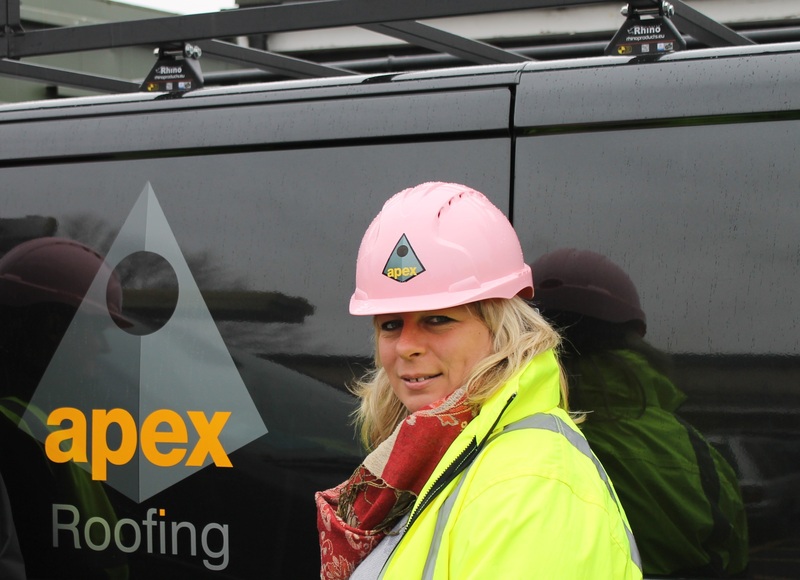 Throughout her roofing career, Jackie has always pushed the boundaries and in 2016 she won the title of ‘Business Leader of the Year’, at the National Women in Construction Awards. Jackie now works as a role model for women in construction, helping young people work out their chosen career paths in the industry and also acts as a mentor and advisor. The annual National Federation of Roofing Contractors UK Roofing Awards recognises the best of the best in the roofing sector. As the awards’ headline sponsor, SIG Roofing supported the Local Hero awards as a way of acknowledging outstanding roofing contractors who go the extra mile for their local community and are so often unsung heroes.